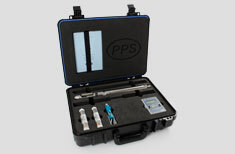 The PPS61 RTD Temperature gauge is for applications that require a fast response to temperature changes. It allows analysts to quickly diagnose downhole problems such as tubing or casing leakage. It can also be used for monitoring stimulation operations to see which zones are more effective. Using the same highly integrated design principles, the tool can be operated in areas with limited space.